Everybody knows that Aussies enjoy a flutter, and always have done. That’s why Australians are such huge fans of online casinos. The Casino Gorilla has never been Down Under but he knows enough about Australian players to understand that only the best will do. That’s why his recommendations for the best Australian Online Casinos are guaranteed to hit the mark with players from Perth to Brisbane and all stops in-between. At the moment there are not many online casinos that accept Australian players, but here are the ones that don't mind having Aussies as their customers. Choose your favourite and start playing! When we refer to an Australian online casino on these pages we are not necessarily talking about a casino which is based in Australia. Instead, these are casinos which make players from Australia welcome, including those casinos which offer bonuses to Aussie players and also lay on the type of payment methods that makes it easier for residents of Australia to make hassle-free deposits and withdrawals. 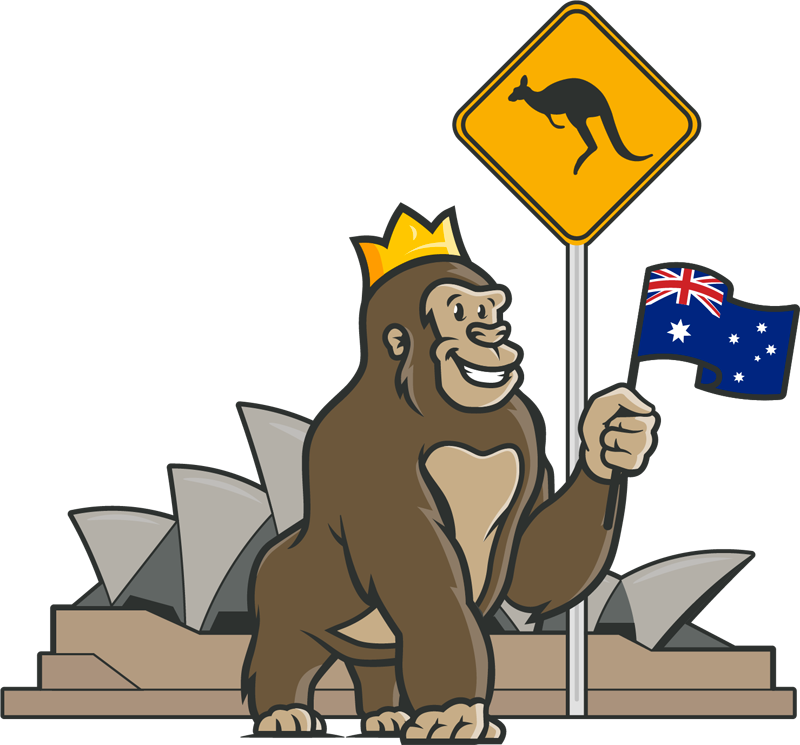 Not every online casino will allow Australians to join, but the Casino Gorilla has picked out some of his favourite Australian online casinos. The main law governing online gambling in Australia is the Interactive Gambling Act of 2001. This law prohibits offering real money online interactive gambling to Australian residents. The same Act made it illegal for companies to advertise real money gambling services to Australian citizens. However, the Act does not apply to Australian based sports betting or lottery betting companies. It also does not prevent any Australian citizen from gambling online, and states clearly that there is no punishment for doing so. In other words, it is perfectly legal for Australians to play at online casinos. Game selection: games are at the heart of every online casino. We look for a good selection of the best games from premium developers, including table games, pokies and jackpots. Welcome bonuses: when you choose to sign up with one particular online casino you expect to be rewarded. We have found the best welcome bonuses applicable to Australian players at our recommended online casinos. Security: as with so many online services, security is of prime importance when it comes to choosing the best online casinos. 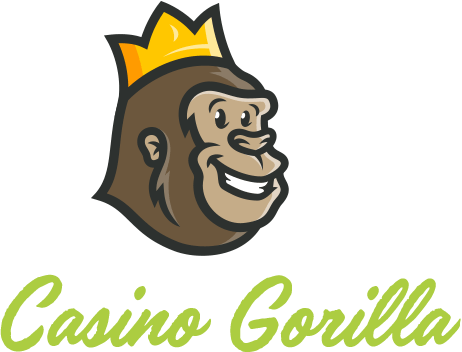 The Casino Gorilla looks for licensed casinos using encrypted software to ensure transactions and personal information are kept secure. Licensing: a good casino regulator will make sure that the rules are followed and that casinos act fairly in their dealing with customers. Look for the casino licenser’s logo at the bottom of each page of the casino. Fair and transparent rules: nothing makes the Casino Gorilla madder than deliberately confusing terms and conditions hidden away where nobody can find them. We like straightforward and honest online casinos that keep things clear and simple. Best payouts: casinos with tight withdrawal limits are to be avoided. The Casino Gorilla looks for casinos offering a generous return to players with generous limits. Customer service: being able to get in contact with professional and knowledgeable support staff increases confidence in an online casino. It is frustrating having to put up with needless delays which is why quality customer support is a valuable asset. Good promotions: Australian players should be able to take advantage of the best welcome bonus offers when joining a new casino. Not only that, but the Casino Gorilla likes to see regular daily and weekly offers plus a generous loyalty scheme too. Big jackpots: jackpot slots attract players like bees to a honey pot. We love to see plenty of jackpot options in our recommended Australian online casinos to keep everybody dreaming of that big-time win. Payment methods: having a good range of payment methods is vital, especially in those territories where there can be issues with debit and credit card transfers. A large selection of varied payment options means there will be something for everyone to use. As with many territories, the rules governing online gambling in Australia are somewhat complex. As previously stated, the IGA was introduced to stop international gambling sites from accepting Australian players, but the wording was unclear and so if companies simply refrained from advertising their services they were able to accept Aussie players. 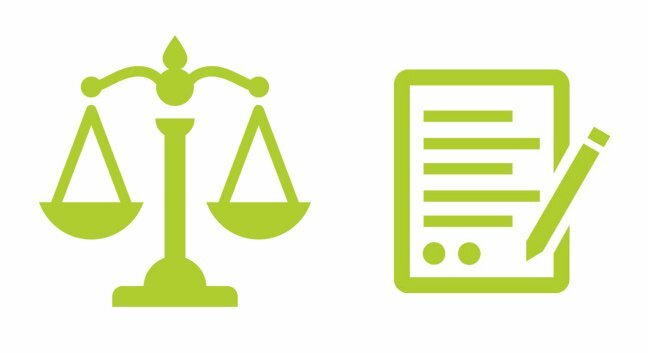 In 2017 an Amendment to the 2001 Act introduced fines for any online gambling sites that accepted Australian members. This caused many major providers to leave the online casino market in Australia, but many more reputable sites continue to allow Australians to sign up with them. There is still absolutely no penalty for Australian online players, as the Act and Amendment are only concerned with the online casino providers. WPokies Casino is one of the best available online casinos for Australian players. With a generous welcome bonus of $5,000 it is no surprise that this pokies-centric site has been attracting so many players from Australia. This site is licensed in Curacao and uses SSL certificates to ensure that information going to and from the site is fully secure. There is a fantastic selection of games to choose from, including pokies from top developers like NetEnt, Playtech and Novomatic gaming. The range of pokies is complemented by some table gaming options like roulette and blackjack along with the always popular video poker games. You can also test your luck on some massive progressive jackpot slots with enormous potential payouts to play for. WPokies is certainly one of the best options around for Australian online casino gaming fans. Australian players should expect to find a generous welcome bonus awaiting them when they sign up and deposit with our recommended Australian online casinos. We want all of our loyal readers to be rewarded, which is why we seek out the best bonus offers with the most favorable wagering requirements. There is nothing quite like playing with house money, which is why the Casino Gorilla also keeps an eye out for regular ongoing promotions and loyalty plans which reward Australian players for spending time on their online casino of choice. You rarely see casinos going broke, which is why it is important for real money players to maximize their opportunities to win at the casino. There is no magic solution or miracle strategy to allow you to win cash from casino gaming, no matter what you may read on obscure corners of the internet. The best policy is to choose your games carefully, going for the ones that offer the best chances of success, and to take advantage of casino bonus offers whenever you can. Above all, never bet with money that you cannot afford to lose. At the end of the day, casino gaming is about fun and excitement and should never be seen as a guaranteed way to make money. Enjoy your casino gaming and accept the losses as well as the victories, because both are going to happen. QUESTION: Can You Access Casinos on any Australian Mobile Network? ANSWER: Online casinos will be available on any Australian mobile network, including Virgin, Optus, Telstra, iPrimus, Doda, Amaysim and Vodafone. QUESTION: Can I Play Online for Real Money? Yes Australian players can play at online casinos for real money. We only recommend secure online casinos which will accept Australian players. There is no law preventing Australian residents from playing at real money online casinos. ANSWER: Are Australian-friendly online casinos safe? The Casino Gorilla will only recommend secure online casinos for Australian players. That means casinos which employ the latest encrypted software to ensure that all transactions and personal details are safe and secure. QUESTION: Do Australian casinos accept play in AU$? 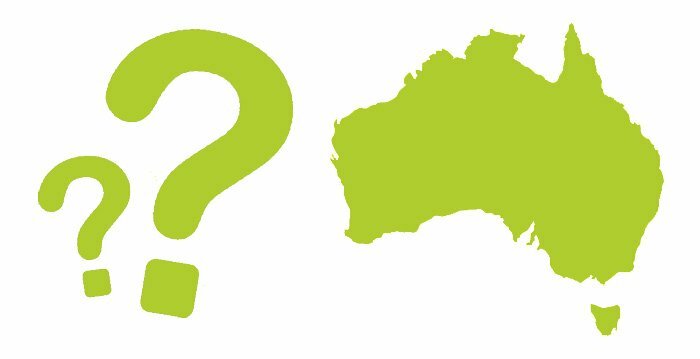 ANSWER: The majority of Australian online casinos accept Australian dollars, although in some case your funds will be automatically converted to a different currency such as USD. QUESTION: How do I deposit or cash out at Australian casino sites? ANSWER: You will find a wide range of deposit and withdrawal options at our listed casinos. These include credit and debit cards, bank transfers, money vouchers, electronic wallets and cryptocurrencies such as Bitcoin. QUESTION: What if I think someone has a gambling problem? ANSWER: If you believe that you or someone you know has a gambling problem then it is very important to address this immediately before it gets out of hand. Reputable casinos will allow you to exclude yourself temporarily or permanently from the site and to place limits on how much you can deposit and bet. Australian Government: Department of Social Services – Australian government’s help for problem gamblers. Healthdirect.gov.au – Help for gambling addiction. Motivators for Change and Barriers to Help-Seeking in Australian Problem Gamblers (Evans & Delfabbro, 2005) – Australian study regarding help-seeking of gamblers.